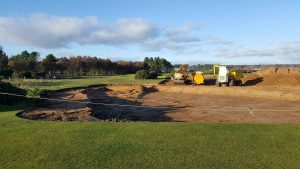 Since my last blog went live, I’m pleased to report that work on the course is progressing really well, especially after the rain (just under 40mm) that has fallen in recent weeks. We’ve got no room for complaints, however, because I’m well aware that golf courses up and down the country have had to deal with much tougher weather conditions than ourselves. Of course, once we’d recovered from the rain, we were hit by frost this week. Although, it is yet to have any real effect on our work and the progress we’re making so fingers crossed it stays that way. 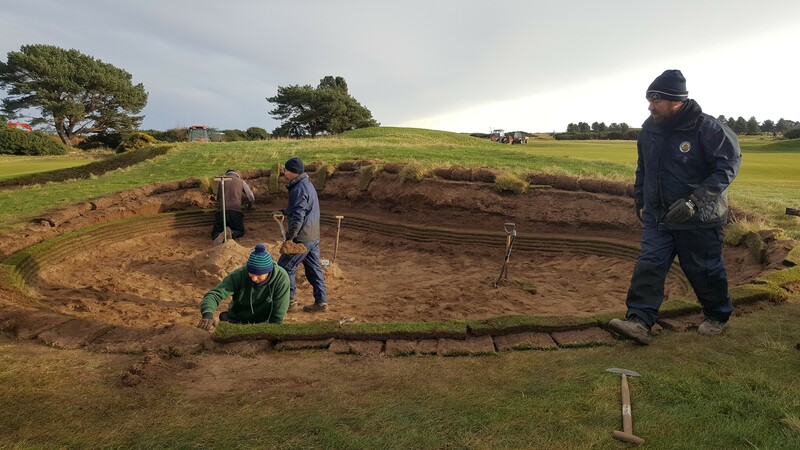 As I mentioned in my last blog, bunker building is one of the key components of our winter work on the course and with 76 to build it’s a pretty big task but one that we are very much up to. 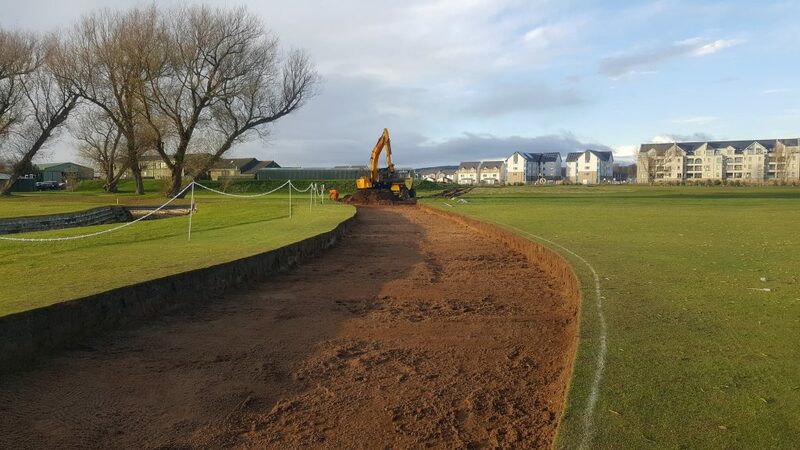 It’s been going very well so far and we have revetted 63 at the time of writing, which is a tremendous effort from everyone involved, especially as we are only five weeks into our winter improvements period. But it’s not just been our own greenkeepers who’ve been on hand to help, this week we have had help from Blair and Stuart from Dunbar Golf Club. Having these guys helping us on the course not only adds some extra pairs of hands but it’s a great opportunity for us and for the guys from Dunbar to learn from each other and share different ideas. We’d like to thanks the guys for all their help, it’s always appreciated. It’s not just bunker revetting that’s taking place on the course just now, however, we’ve got the forward extension of the 9th Hogan tee and you may have noticed the course is a little light on gorse at this moment in time because we’ve undertaken some removal and trimming of it to help with spectator movement and views when it comes to the main event next year. 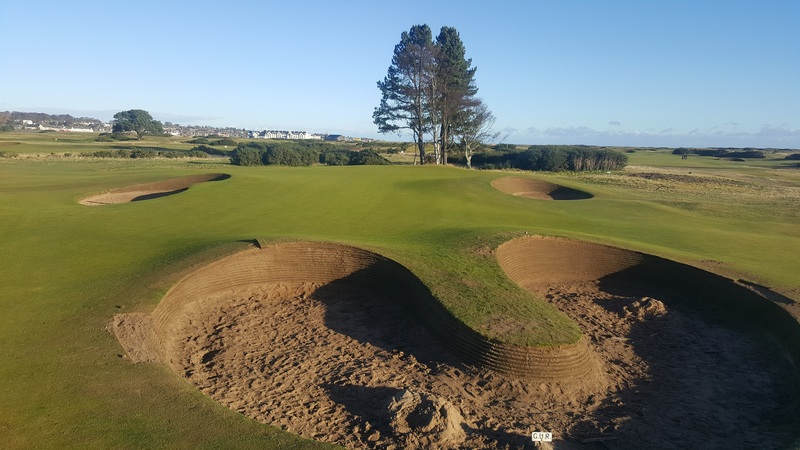 For any of you who’ve played the course or been around it recently you might have noticed some areas looking a little different than before – that would be the mounding at the 12th green/13th tee/8th hole triangle, mounding at the left-hand side of the 10th rough and mounding around the back and side of the 14th tee. These areas will not only be enhanced with better grasses than previously but to provide spectators with the best experience possible these will be excellent vantage points to watch the action unfold. 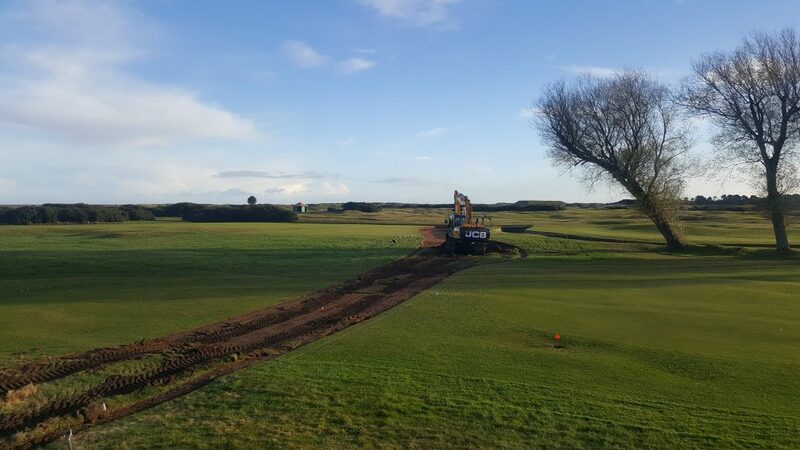 And away from the work on the Championship Course, contractors have started the construction of a new road across the 5th and 17th of the Burnside. 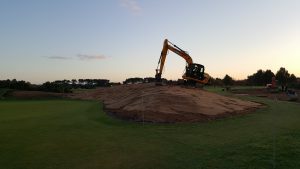 This will ease congestion around the 10th green in future events as well as The Open. 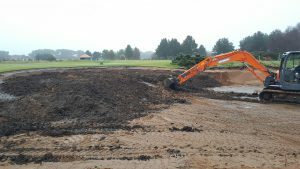 All the material removed from this job goes towards creating the mound at the 8th before being capped with sand and for the regular users of the practice area by the 1st hole of the Burnside, you will see the rubble mound slowly disappearing as it is used for filling the road.